Skyy Vodka is a popular brand of vodka produced in the United States. It comes in over 20 flavors and its price is actually pretty low, so it’s affordable by most people. Although the price is low, the taste is not. Skyy Vodkas do pretty well at international spirit tasting competitions. Some of the flavors currently sold include citrus, pineapple, blood orange, vodka infused with moscato grape, wild strawberry, Georgia peach, vanilla bean, cherry, dragon fruit, raspberry, passion fruit, coconut, and grape. Skyy Vodka was founded in 1992 by the American inventor and entrepreneur Maurice Kanbar. He eventually went on to sell the brand to Campari Group in 2009. Below are the latest Skyy Vodka prices. If you’re looking to make some mixed vodka drinks but don’t want to shell out big bucks for expensive vodkas, then you might as well just get Skyy vodka and call it a day. It comes in just about any flavor you need so you can make a wide range of drinks with it. Apricot Breeze – 1 oz. Skyy vodka, 3 oz. Kerns apricot nectar, tonic water, and ice. Brain Freeze #2 – 2 oz. Skyy vodka, 3 oz. Kahlua coffee liqueur, and 2 large scoops of mayfield Rock Road ice cream. Hollywood – 1 ½ oz. Skyy vodka, 1 ½ oz. Chambord raspberry liqueur, 1 oz. triple sec, and 1 splash Rose’s lime juice. Jungle Boogie – 1 oz. Skyy vodka, 1 oz. Southern Comfort peach liqueur, 1 splash V8 Tropical blend, and 6 oz. Mountain Dew citrus soda. Niagra – 1 ½ oz. Skyy vodka, 1 ½ oz. Blue Curacao liqueur, and 3 oz. Red Bull energy drink. Skydiver – 1 ½ oz. Skyy vodka and orange juice. Angel Island Martini – 1 oz. Skyy vodka, 1 oz. Rose’s lime juice, 1 ½ oz. coconut cream, 1 slice of lime and sugar. Goose Bump – 1 oz. Skyy vodka, 1 oz. 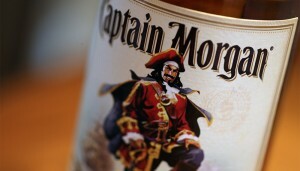 Captain Morgan Parrot Bay Coconut rum, and 4 oz. pineapple juice. Midoria Cosmo – 2 oz. Skyy vodka, ¾ oz. Midori, 1 splash lime juice, and 1 splash cranberry juice. Passion Play – 2 oz. Skyy vodka, 1 oz. passion fruit juice, 2 oz. orange juice, and 1 oz. 7-Up soda. SKYY Refresher – 2 oz. Skyy vodka, ¾ oz. simple syrup, ½ oz. lemon juice, club soda, and mint leaves.